Vanellus vanellus Linnaeus, 1758, Sweden. Monotypic. 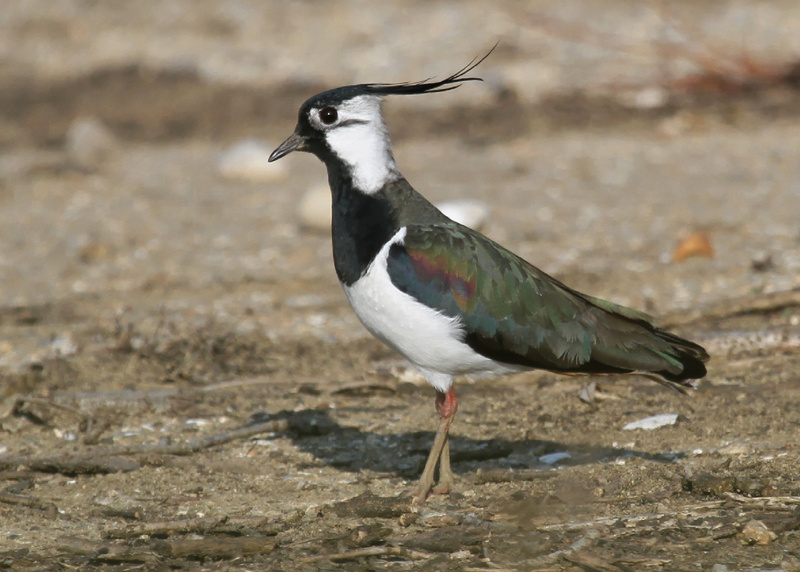 English: Eurasian plover, green plover, pewit; French: Vanneau huppй; German: Kiebitz; Spanish: Avefrнa Europea. 11.5–13 in (29–33 cm). Spring weights: males 6–9 oz (170–255 g), females 7.7–9.9 oz (218–280 g). Adult summer and fall weights average 8.2 oz (232 g). Elongated black crest, thick blackish neck band, and glossy green back are diagnostic. Face is black with a dark line extending under the eye. Tail is white and has a broad sub-terminal black band. Tail coverts are cinnamon rufous. Underparts are white, grading to a light cinnamon on the undertail coverts. Breeds in Europe and Asia from the British Isles (occasionally to Iceland) to south Ussuriland and south to northwest Morocco, eastward to north Greece, Iran, and Mongolia. Winter range extends southward to the Mediterranean Basin, northwestern India, and eastern China. Breeding has also been reported from Japan. requirements are broad, and the species can be found nesting from boreal to steppe and even desert habitats. Like other charadriids prefers broad open areas, including grasslands, fields, moors, bogs, and heathlands. Migrating flocks are usually small, but huge flocks are also recorded. 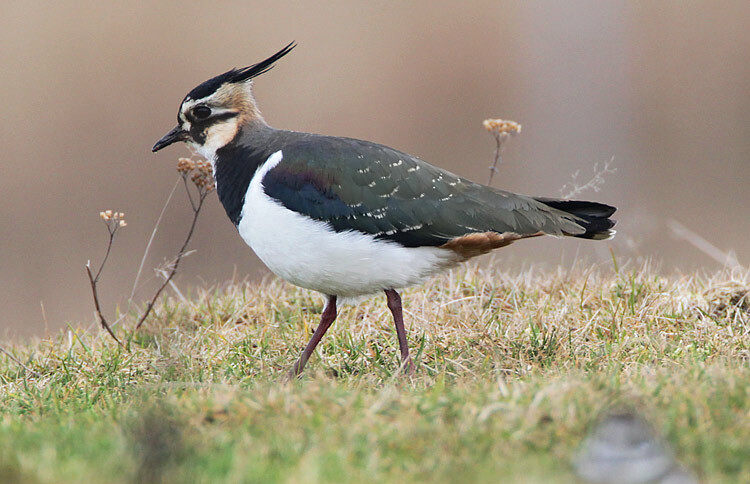 Winter flocks often contain 100 or more birds, and flocks of over 5,000 have been reported. During winter some individuals feeding in flocks vigorously defend small feeding territories. They also spend time on communal areas where bathing, resting, and preening occur. of running, stopping, and pecking. They feed extensively on earthworms, but diet also includes a variety of invertebrates. Reliance on earthworms decreases during unusually dry weather. During unusually cold weather they may eat cattle dung. They are often the victims of kleptoparasitism by gulls—especially blackheaded gulls (Larus ridibundus). 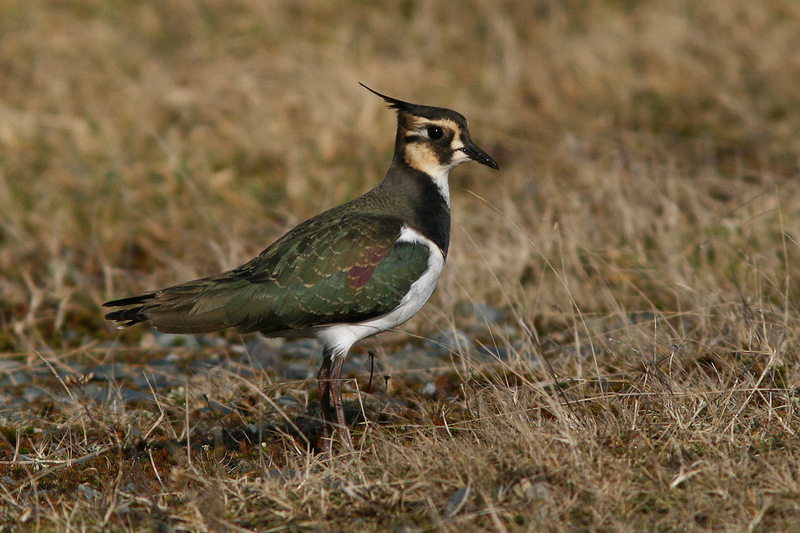 Mature in the first year, lapwings often do not nest until their second or even third year. 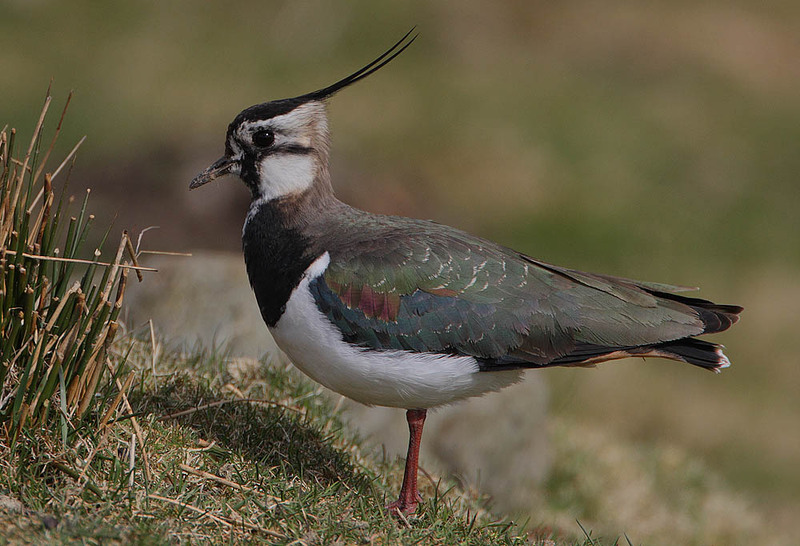 Solitary nesting is common, but breeding densities are sometimes high (nine pairs in less than a hectare). 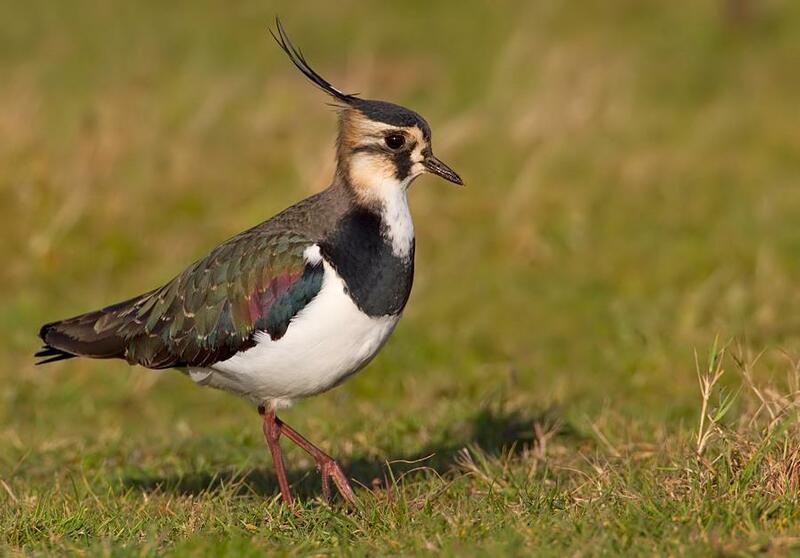 Fidelity to territory is high, with 70% of lapwings returning to birthplaces in the spring. Male performs elaborate territorial and courtship displays over breeding territory. Flights include a non-vocal humming sound and a three-motif song. At times, the primaries emit loud buzzing noises. Seasonal monogamy is the rule but a weak pair bond and weak territories increase the probability of polygynous mating. Male may fly directly onto the female’s back for copulation. A single brood is produced. Four is usual clutch size, occasionally three. Incubation requires about 24–34 days. Parental duties are shared, but one parent—usually the female—deserts before the brood fledges. Fledging occurs in 30–42 days. There are reports of males with two to three females, and simultaneous bigamous matings by males seem to occur often. Not threatened. European breeding area has expanded especially northward. Eggs were commonly collected for food. There are reports from Holland of a single collector taking over 2,000 eggs in a single season. It remained legal to collect the eggs in Britain until at least the 1970s.